Telephone: (701) 328 2525 or 1 800 435 5663, in the USA only. 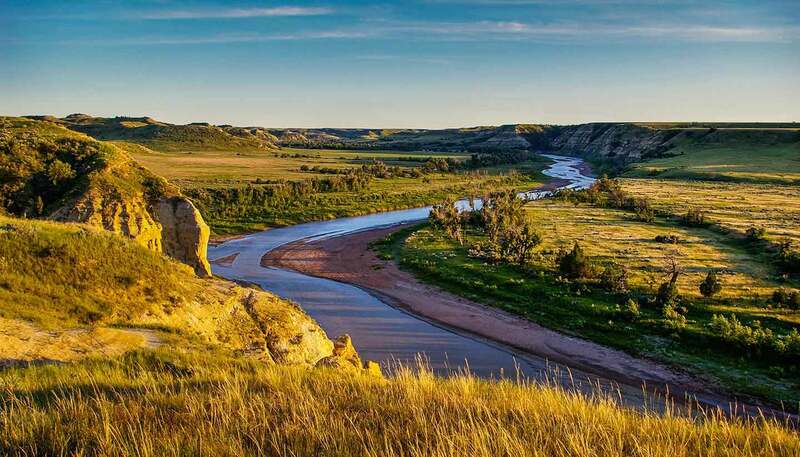 Stay on a working cattle ranch on the Knife River and enjoy horseback riding, fishing, canoeing or birdwatching. Visit the metropolitan area of Fargo-Moorhead, a prime tourist destination, with museums, amusement parks, historical buildings and annual festivals. See the locally hand-built 23m (76ft) replica of a Viking ship that made an epic journey to Norway in 1982. Visit Fort Abraham Lincoln (www.ndparks.com), south of Mandan, the final command post of Lt Colonel George Custer, before his famous massacre by the Sioux Indians at the Battle of Little Bighorn. Custer's entire command of 265 men was wiped out in a 20-minute battle led by Sitting Bull, Gall and Crazy Horse. Explore the traditions of Northern Plains Indians at Knife River Indian Villages (www.nps.gov/knri). Remains of earthlodge dwellings tell the silent story of a culture that was still vibrant when Lewis and Clark headed westwards on their explorations. Enjoy the spectacular views of 28,329-hectare (70,000-acre) Theodore Roosevelt National Park (www.nps.gov/thro), set in the Badlands of western North Dakota. Theodore Roosevelt bought Elkorn Ranch after his wife and mother died, and found inspiration among the quiet canyons of 'rough-rider country'.